Goji Spirit is located in Vrachati Korinthias. Our passion and knowledge for a proper and healthy nutrition has led us to the production of high value nutritional products. The Goji fruits that we use in our products come from our own organic cultivation and are certified by TUV AUSTRIA. Our Goji berries are grown in the fertile soil of the Corinthian county under the Mediterranean environment in our own cultivations. Its fruits are mellow with a strong red color and a sweet taste. 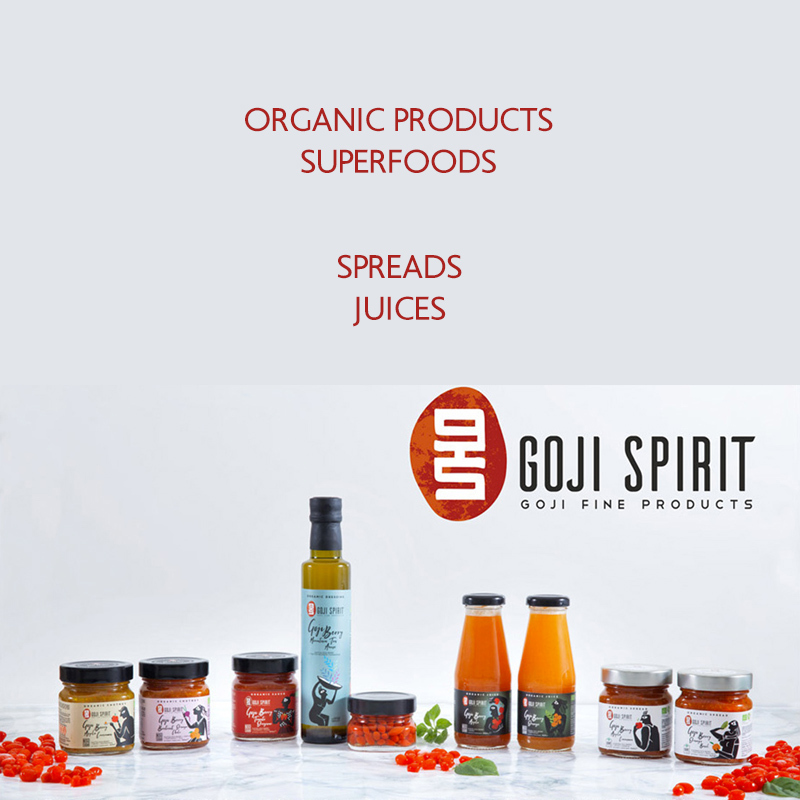 We believe that Goji Berry fruits are one of nature’s biggest wonders. Therefore our passion for balance and health has led us to the creation of a series of products that will allow us to have a good life full of joy.